Today is July 22nd. It’s been one year since the terrorist attacks in Norway, and in commemoration of those tragic events last year, this day has served our nation well. I am proud of my country. Proud that we answered hatred and intolerance with love and compassion. I am proud of our government, our Prime Minister and our Royal Family. They have been excellent leaders – both in the aftermath of the event, in the past year and in the many ceremonies and events throughout today. They answer the attack on our democracy with more democracy, more openness, more compassion. I am proud to be Norwegian. I love my country and the people who live here. I went downtown to attend the charity concert outside the City Hall. Many great artists made this an evening to remember. Great and worthy music – from Bjørn Eidsvåg and Vinni to Karpe Diem, Lillebjørn Nilsen and Laleh. And while speculations went on whether or not he would appear, Bruce Springsteen entered the stage and did a wonderful take on “We shall overcome”. Big as he is, he didn’t overshadow the essence of the concert. With poets reading and with clips of people giving their views and encouragements, it was an event I will remember as long as I live. A couple of days ago I had the purpose of writing a special thought provoking blog post that should spark some interesting discussions. But I decided to let that blog post wait till after my vacation. I am off without a PC, but will occasionally check in to see that all is well among the contributors here. The blog post I had in mind will be published on August 6th if life doesn’t take a strange turn. I will be having pure fun with my family, sailing and playing with my kids. We will be having a blast. While I’m at it, let me extend my thanks to all my readers and the contributors on this blog. The past couple of weeks have seen some business on this blog with interesting discussions and exchange of views. I love you all, and I value your viewpoints – the ones I agree with and the ones I disagree with alike. I learn a lot from all of you. I cherish the fact that you help mold my views and I hope I contribute some value in return. I’m not leaving until Tuesday morning, so I will still be around for another day to answer questions or to participate in the many ongoing discussions. But after Tuesday, don’t count on me to reply to any communication until I’m back. Well put Geir. Was by the concert and the atmosphere was very special. Have a nice trip and vacation! To answer terrorist attacks to a democracy with more openness and more democracy is a very sane and civilized response. I hope my country can learn a thing or two from yours. It’s the only way to ensure the terrorist fails. If one reacts with restricting one’s own citizens, then one helps the terrorist succeed. Thanks Geir. Have a great vacation! The feeling is so very mutual! And I know I speak for others too. A flower, a candle and a moment of silence in the loving memory of all those innocents who lost their lives in such a horrific tragedy. May God rest them all in Peace! Today, the heart of the entire civilized world should beat for Norway. Have a nice holiday, Geir, forget about computer. It’s summertime, enjoy it! Sounds like a wonderful concert there in front of the castle. Give my love to my old friend King Harald next time, and have a wonderful sailing with the family. I just came back from one weeks cruise in the Baltics. Geir!!! isene.com is down – I tried to go there — no response from the website, just an error message. That’s correct, Maria! For me too, isene.com went down! Try with another browser (I use Chrome), but honestly I don’t think browser is the problem. Geir – did you reset the posts to all being moderated while you are gone? The reason I ask is that the last two posts I made never appeared on the blog. Okay – I guess that is the answer because this last post did appear. How weird. What I mean is that the posts I made on the other thread didn’t appear but the last two did and I’m about to see if this one does too. So I am continuing to test the posts — here is the post I posted twice on a different thread that never showed up. I’ll put it here because posts seem to showing up here okay. These two series are mind-boggling, as they reveal essential elements of history that have been hidden from view regarding mental health, economics, propaganda and public relations. I feel like I have been given an factual history lesson for the first time in my life, a lesson that shows exactly how ideas mark the forward progress or deterioration of the human race in very real ways, ways that we really need to be fully aware of. And Geir, I believe that you will find a great deal of information to do with the consequences of using fixed systems. May I suggest that you start with the first video in the series — the post on Marty’s blog began at video 2. Without the initial information, the next three videos lose context and thus impact. I watched them a bit of a time and I am glad I did. I don’t think I could easily summarize — the videos are pretty condensed as it is – the information follows a thread that spans 100 years! No, I wouldn’t say that it speaks of Greg’s ideas at all. It traces the perversion of that idea, the methods used for perversion and how it has infected our society. You’ll be glad that such people as Greg Braden have a voice and very grateful more and more people are listening and moving in that direction. I believe that the C of S bought into it lock, stock and barrel and was utterly compromised as a result. I will be forever grateful to Geir Isene for the way he spoke out so calmly and with so much integrity and for continuing to provide this blog space. Forever grateful. Thank you Geir. Yes, when I said it “goes with” Braden’s ideas I had in mind that he has a very contrary view to what your links are describing as the long-standing “conditioned” one (if I have the general idea right). And he points out that science has suppressed the research that would jeopardize their power and income – a topic we all discussed a while back on this blog, as I’m sure you also recall. Maria! 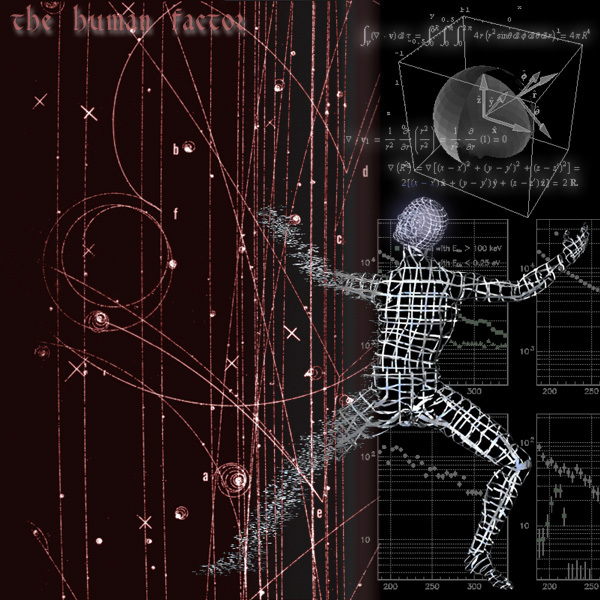 Why don’t you join in on the discussion on “The Hunch…” thread? Which starts about where the first Gregg Braden video is posted. Or wherever you want to take it up. It would be great to get what you know about the subject(s) and your own insights. You are more than very welcome.. I am honoref to have you hang atound here. So I tried posting the comment I made that didn’t show up on another thread on this one and it didn’t show up again!! Very strange.